The city of Foley, Alabama is located in Baldwin County, within the Gulf Shores area. Foley is a year-round destination for a Gulf Coast vacation, offering numerous attraction and activities for visitors of all interests and all ages. Historic downtown Foley offers a chance to do a self-guided tour, and the sandy Gulf Coast beaches are just ten minutes away by car. Foley, Alabama received an “O” gauge model railroad in 2004 from Alan Goldman. Goldman asked for the city to create an exhibit designed for children that could be visited with no admission charge. 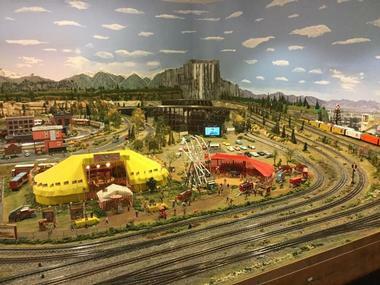 The exhibit features a quarter-mile of track, three operating double-track routes, several animated sites, and represents twelve different railroads. The railroad layout is representative of the 1950’s railroad era, and quite a bit of detail was incorporated into the exhibit. Main Street USA at the museum contains a train that can carry kids around a city park, a fire station, bus station, and a car wash. The Holmes Medical Museum is hidden away above a small pharmacy in Foley, displaying several different antique medical tools. While the museum may not be the world’s most diverse or largest medical museum, it makes use of its modest space to highlight the slightly frightening, sterile history of some of the trade’s obsolete tools. The museum is situated inside of the first hospital in the city of Foley, which worked to heal the sick between the year 1936 and 1958. When it closed, the rooms were preserved to look just as they did during the early part of the twentieth century. In addition to the numerous shops and restaurants, the OWA destination area is also home to The Park at OWA. The park features twenty-one fun rides that will keep the entire family entertained for many hours. Visitors can experience a thrilling adventure aboard the Rollin’ Thunder or play it more safe on the Leap Frog. Along with the rides, the park also consists an assortment of traditional Midway games, along with Wacky Waters, an interactive splash pad providing a great way to cool offer during the summer heat. Dining and card vendors can be found throughout the park as well. The Foley Art Center has provided Cultural Enrichment Programs for local schools, college scholarships for artists, and art classes for both adults and children in the Gulf Coast region for over fifty years. What started out as a dream of only fifteen citizens of the local community, the center has now become a vital force within Baldwin County’s Cultural Development. 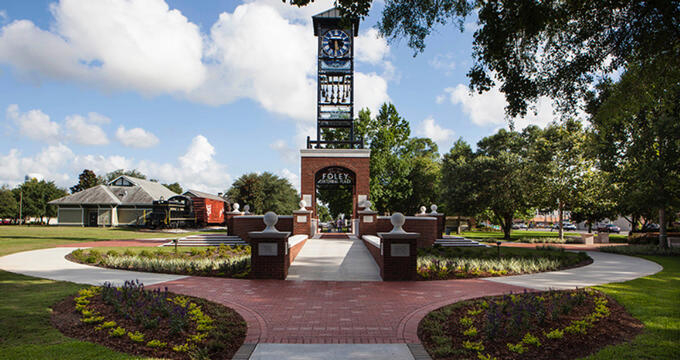 Annual events are hosted throughout the year by the Foley Art Center, such as Trim-A-Tree at Tanger Outlets, the city’s Fall Art Competition, and Art in the Park, held every Mother’s Day weekend in John Foley Park. The Little Lagoon Guide Service is a great fishing service for all skill levels in the Gulf Shores area of Alabama, offering a memorable day of fishing and enjoying the outdoors. The owner of the fishing guide service, Captain Scott Roberson, provides a wide range of trips for visitors that help families and friends create lasting memories together. Little Lagoon Guide Service specializes in lighter tackle back bay, near shore, and inshore fishing in the waters of Orange Beach, Gulf Shores, Pensacola, Perdido Key, Mobile Bay, Fort Morgan, Weeks Bay, Magnolia River, and all of the water in between them. Down South Barbeque in the city of Foley serves some of the best barbecue found anywhere along the Gulf Coast of the United States. Visitors and locals alike can enjoy the delicious barbecue for lunch or dinner. Guests can drop by the Down South location and have a meal under the restaurant’s outdoor tables covered by family-sized umbrellas. After a drive to Alabama Beach, the last thing anyone will want to do is cook, Down South Barbeque offers a whole meal for the entire family at a place where you’ll always find locals. Menu items include wings, ribs, sandwiches, chicken, and cornbread. Situated in the beautiful city of Foley, Lambert's Cafe III can be found just eight miles away from the beach at Gulf Shores, next to the outlet mall. It’s a great place to grab a bite after a day of shopping at the factory outlet stores or day at the beach. The eatery is known for its great food and impeccable service. During the meal, visitors may just find out some of the best attractions for them to visit during their vacation by talking to the workers. The cafe is the third location for the Lambert family’s restaurants. Wolf Bay Restaurant is a family-owned and operated restaurant in the city of Foley that has become a tradition in Baldwin County. The eatery is well known for serving fresh, high quality seafood, as well as for its inviting family-friendly atmosphere. Several of the dishes featured on the menu at Wolf Bay Foley today date back to the original menu created by the owners, such as the stuffed whole flounder, stuffed shrimp, crab stuffing, and the seafood gumbo. The restaurant also makes many of its salad dressing in house. There is also the Wolf Bay Boutique that offers a variety of merchandise. BeachnRiver Canoe and Kayak Rentals offers its visitors a chance to captain their own eco-kayak tour in single or double kayaks that are easy to maneuver and fun. Customers can explore the still, tranquil waters of the area’s creeks and rivers, a top-rated attraction around Gulf Shores. A kayak excursion offers the chance to expand a Gulf Coast vacation by exploring more of the Gulf Shores area at whatever pace guests choose. During the summer season, BeachnRiver offers a “self-guided” exploration of the Bon Secour River. 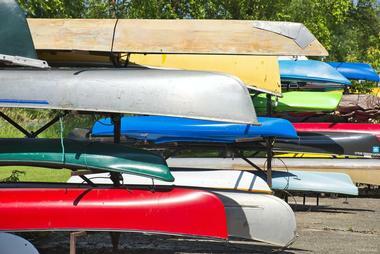 This kayaking experience lasts a maximum of eight hours and allows customers to explore on their own.